EMS Copiers are officially the first company to subscribe to the Pieta House ‘A Life a Day Campaign’ the objective of which is to support the vital work that Pieta House undertake in the prevention of suicide and self-harming. 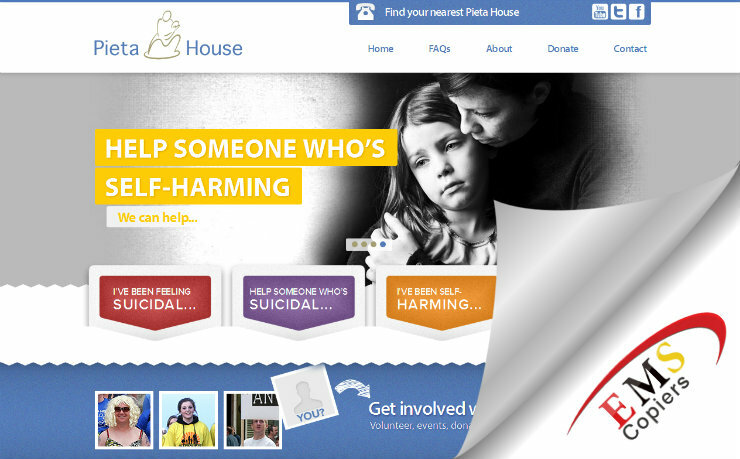 Pieta House hope to secure this support from 350 companies in the coming months that will fund the operational costs of the organisation in delivering its’ vital work. Suicide has impacted upon every family in Ireland. EMS are proud to be associated with Pieta House and the work it undertakes and to be the very first corporate supporter of its ‘A Life a Day Campaign’. We would wholeheartedly recommend supporting Pieta House to the wider business community.